Change of topic. “Beauty (value) in the eye of the beholder.” Not that “value” is important to me–out of curiosity–I checked the Internet. 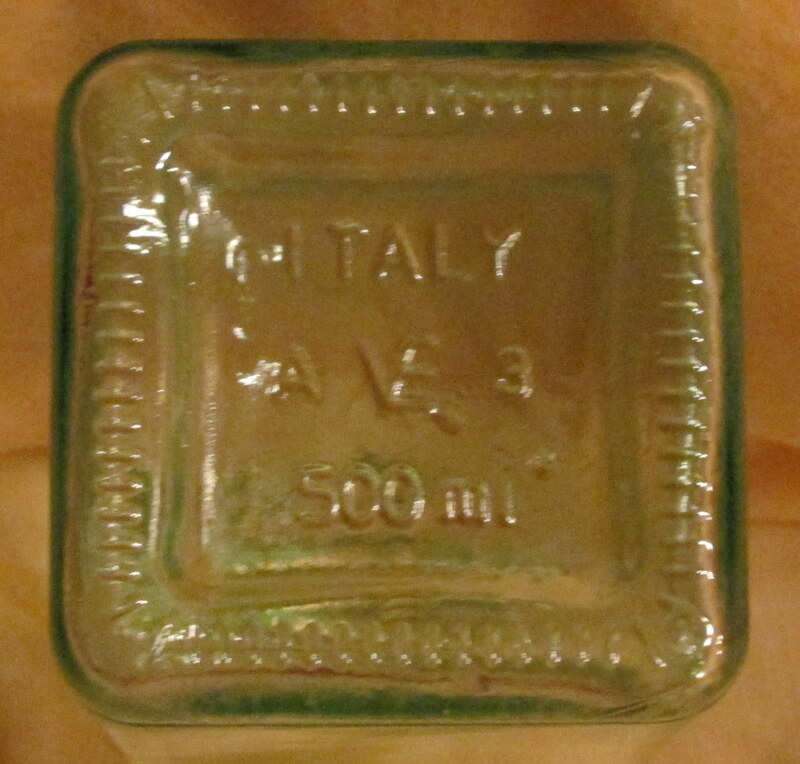 Here is one, and another, of several links. 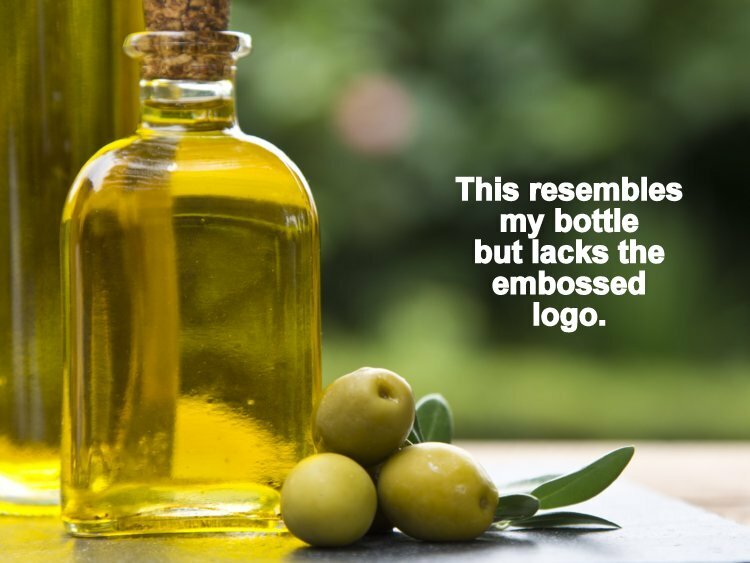 Images of olive oil bottles but only one that resembled mine. 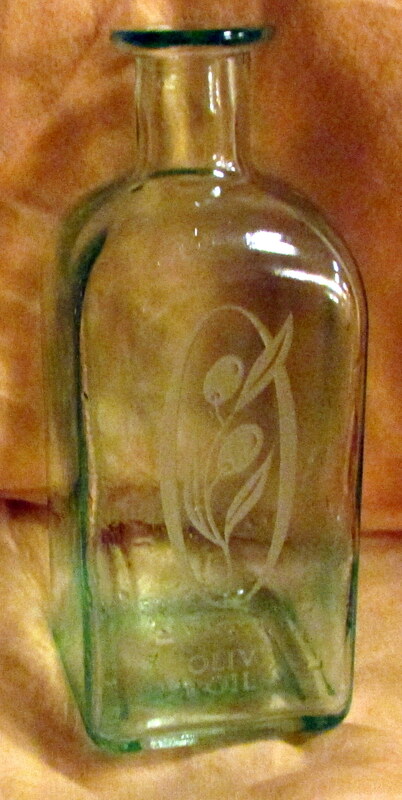 I made the mistake of removing and discarding the label on the back of the bottle. 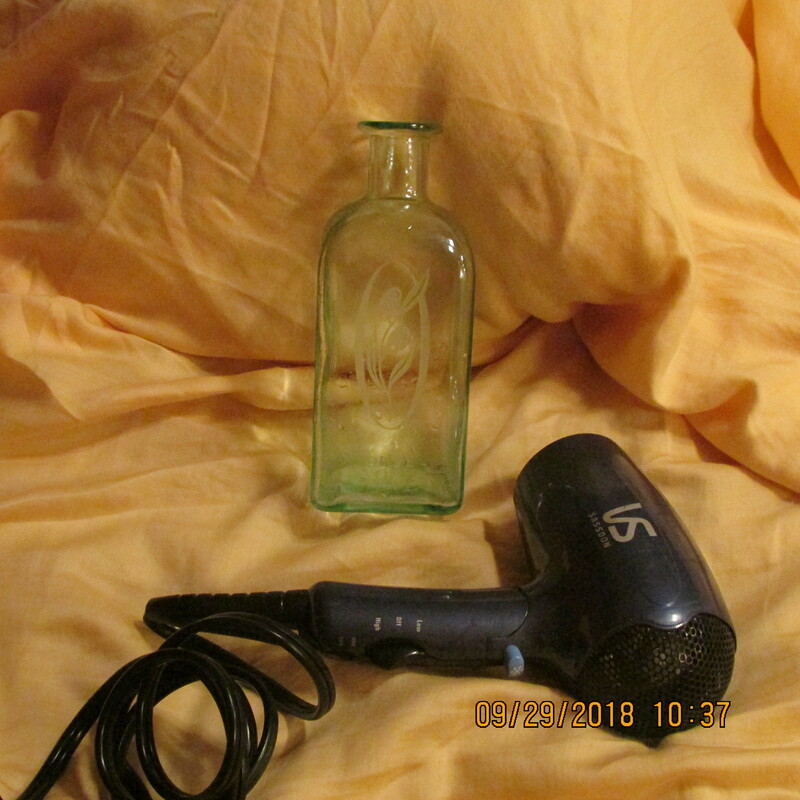 Remember, I was buying the bottle for display on a “bottle bush.” Inside, and out, the bottle was sticky with rancid oil. Time, and lots of Dawn, went into cleaning the container! Click picture to enlarge for greater detail. Why did I suddenly add the reference to Barbara Johnson and Stick a Geranium in Your Hat and Be Happy? I don’t know. Maybe (for this, my Journal), I wanted to assuage guilt for “clutter” and affirm my fondness for taking pictures, writing thoughts, and publishing blog messages. 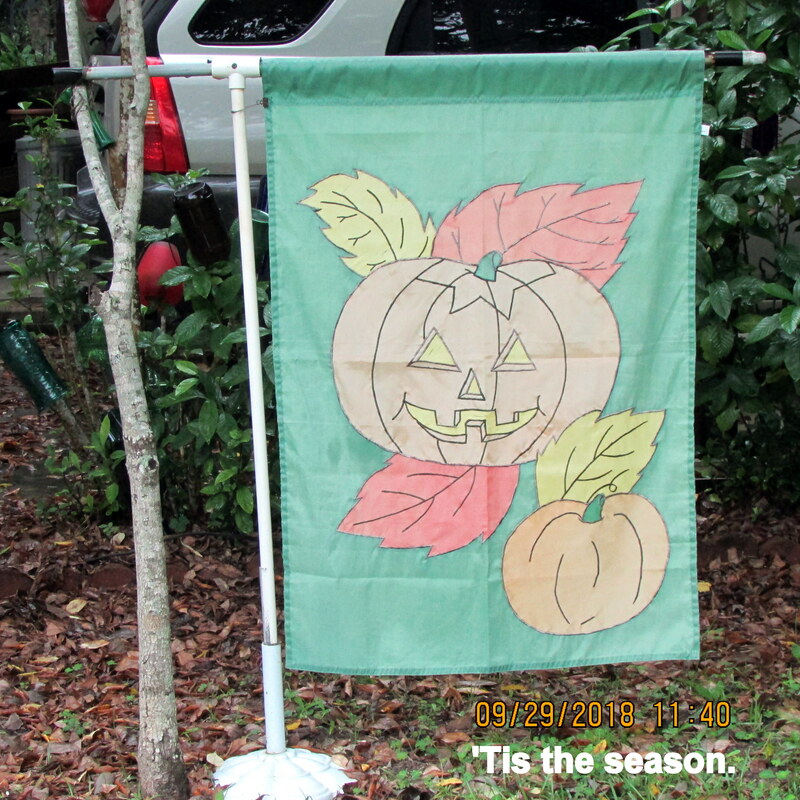 Furthermore, a fondness for bottle bushes, bottle trees, bottle chandeliers, etc, and all things “garden.” When the rain stops, and I venture outdoors, I’ll switch a “summer” garden flag for an “autumn” flag.